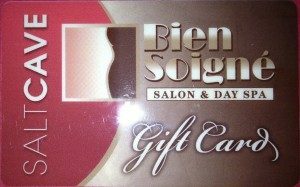 Gift cards can be purchase directly through the link on this site and printed out instantly in the comfort of your home. Choose a dollar amount good for any service or products. The minimum online purchase is $25. Or choose a package or posted special. Gift cards never expire and can be re-gifted but not redeemed for cash or to purchase another gift card. Our salt cave series and memberships should be purchase over the phone or directly at the salon and are exclusively for the use of the person they’re registered to. When purchasing a gift card in person please be prepared to give us the name, address and telephone number of the recipient. This information is never used for marketing purposes but helps us safely store a record or the purchase if the card is lost, stolen or simply left at home on the day it was meant to be used. 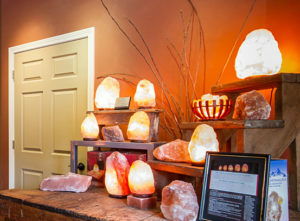 Our salt boutique is normally stocked with a broad variety of health-promoting Himalayan salt products. Find a full selection of Health & Beauty, Bath & Body, Cooking & Seasoning items, as well as, variety of salt lamps. Our salt lamps are sold by weight and come in 6 sizes….mini. small, medium, large, extra large and jumbo. Prices for our natural lamps range from $25 to $400 and include a safety rated cord and bulb. Specialty carved lamps and a variety of fire bowls are also available. Below is a partial list of our items. 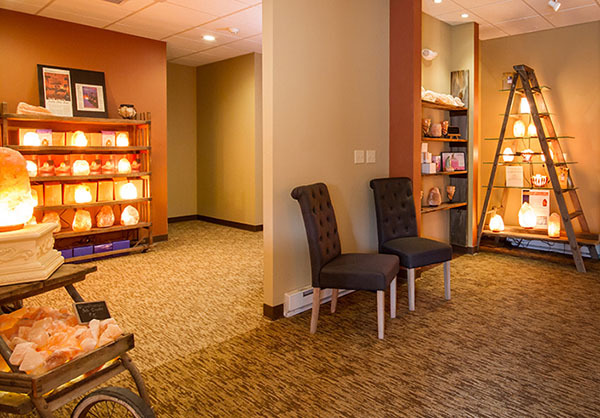 Salt lamps are mined and created from 250 million year old salt deposits found in the Himalayan mountains. They are natural dehumidifiers and eliminate air borne dust and allergens in the negatively charged air around them. The tranquil, earthy beauty of a lit salt lamp makes them perfect accent pieces for your décor and restful night lights beside your bed. Come see our selection and let us help you find the best lamp for your needs. WHAT SIZE SALT LAMP DO I NEED? For optimal results in large rooms multiple lamps can be placed throughout the room. You can never have too many Himalayan salt lamps.